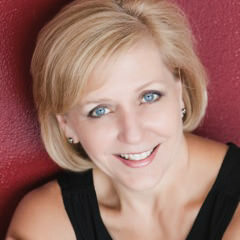 Laura Price, awarded the “Texas Tap Legend” by the Dance Council of North Texas for 2012, is a creative and rhythmical tap dancer and teacher. She began her dance training in Dallas as a three-year-old and grew up performing with several local civic and musical theatre companies over the years in such productions as Anything Goes, 42nd Street, Whoopee, Peter and the Wolf, A Chorus Line, The Nutcracker, and Morton Gould’sTap Dance Concert. In addition, as a performing member of the Rhythm Junkies, a non-profit tap dance company in North Texas, worked with the company to produce new works and preserve historical works of tap. Laura’s career spans more than thirty years of performing and teaching and brings a versatility to class that reflects those years of study and a love of the many genres of Dance. As a long time teacher on staff at Tuzer Dance School, Laura looks forward to every opportunity to share the love of dance with each and every student!